An Interpretation of "The Spirit of the Laws"
Montesquieu is rightly famous as a tireless critic of despotism, which he associates in his writings overtly with Asia and the Middle East and not with the apparently more moderate Western models of governance found throughout Europe. However, a careful reading of Montesquieu reveals that he recognizes a susceptibility to despotic practices in the West—and that the threat emanates not from the East, but from certain despotic ideas that inform such Western institutions as the French monarchy and the Roman Catholic Church. 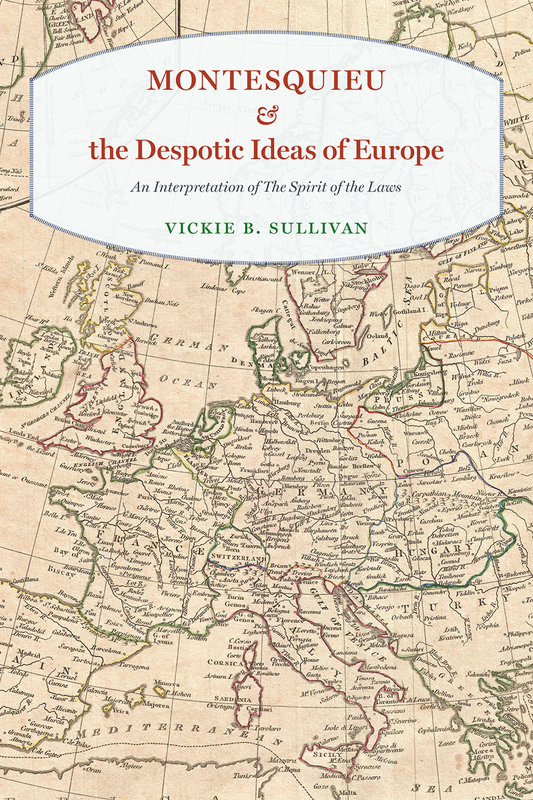 Nowhere is Montesquieu’s critique of the despotic ideas of Europe more powerful than in his enormously influential The Spirit of the Laws, and Vickie B. Sullivan guides readers through Montesquieu’s sometimes veiled, yet sharply critical accounts of Machiavelli, Hobbes, Aristotle, and Plato, as well as various Christian thinkers. He finds deleterious consequences, for example, in brutal Machiavellianism, in Hobbes’s justifications for the rule of one, in Plato’s reasoning that denied slaves the right of natural defense, and in the Christian teachings that equated heresy with treason and informed the Inquisition. In this new reading of Montesquieu’s masterwork, Sullivan corrects the misconception that it offers simple, objective observations, showing it instead to be a powerful critique of European politics that would become remarkably and regrettably prescient after Montesquieu’s death when despotism wound its way through Europe.